Although Senegal has one of the highest access to electricity rates in sub-Saharan Africa, just 42% of people in rural areas have access, Ibrahima Niane, head of rural electrification programs at the Ministry of Energy said. Ibrahima Niane made the statement during a working session with solar solutions provider Nadji.Bi Group. He explained that off-grid solutions have contributed in improving access to electricity to people living in rural areas. Senegal has set up a commission in charge of the development of the off-grid market, Niane said. The country intends to revitalize the process of rural electrification during this year, in order to achieve its goal of 100% electrification by 2025, he added. 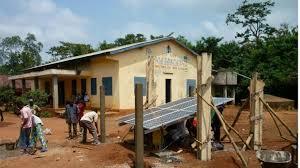 Currently, the West African nation has a national electrification rate of 64%. Last year, Senegal has raised about $14 billion in pledges from Western countries, the World Bank and other lenders to fund new infrastructure. The Finance Ministry mentioned France, Canada, the World Bank and Islamic Development Bank among those promising funds for the 2019-23 phase of the Senegal Emergent Plan, which seeks to attract foreign investment. Senegal, home to some 16 million people and the second-biggest economy in West Africa’s monetary union, has recorded annual economic growth of more than 6 percent since 2015.